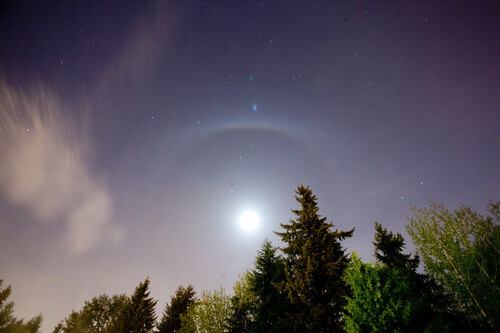 Lunar Arc a photo by Liembo on Flickr. A bright upper tangent arc and two faint parhelia (sundogs) around the half moon last night. 20 seconds at ISO 400. 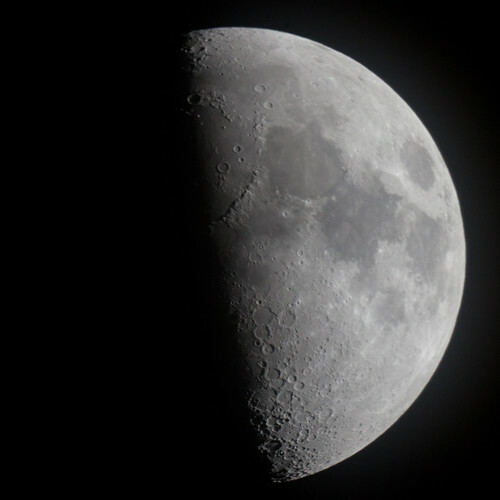 Half Moon a photo by Liembo on Flickr. For almost 5 years, my standard lens for aviation shooting has been my Canon 70-200mm F/4 L, which has been a trusty lens, very sharp, and a good length on the APS-C sensor on my 30D (112mm x 320mm equiv). However, switching to the 5D mark II has reduced the range. For a while now I've been contemplating the Canon 100-400mm F/4.5-5.6 IS L lens, which is very popular among planespotters for its range and sharpness. New Stealth Helicopter used by SEALs to infiltrate Osama bin Laden's compound? During the heroic, night-time raid on Osama's compound, some sort of malfunction or incident forced the infiltration team to scuttle one of the helicopters used on the mission. The tail section apparently fell outside the compound on the other side of the 12 foot walls and was left behind, relatively intact. The initial photos are intriguing and will no doubt lead to much speculation on the type of helicopter it was; a new type or a heavily modified H-60 type. No doubt foreign intelligence agencies (I'm looking in your direction, China) are en route to the Abbottabad area to attempt to secure those fragments like they did to downed F-117's in former Yugoslavia. I don't think this is a modified H-60, as the tail rotor is on th eopposite side of the tail, which would be a considerable engineering rework. What I can't tell is if the tail elevator is canted to the front or back of the tail. More pictures will be added as I find them. More information at Aviation Week and DefenseTech.org. 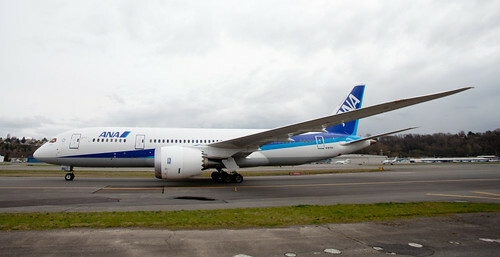 Boeing 787 N787EX a photo by Liembo on Flickr. My first sideshot with the 17-40mm and the 5Dmk2, which is a great test because the entire 787 fits the FoV! With a mostly free day and the potential for partly cloudy skies, I decided it might be a good day to go to the Univerisity of Washington and photograph the cherry blossoms in the Quad. Its been about 4 years since the last time I did. Unfortunately, this idea also occured to approximately 63% of the population of Seattle. The crowds in the Quad were more than I have ever seen, despite the overcast skies. Everyone had a camera. The crowd, expectedly, was mostly Asian, but of nearly every country, not just Japanese. There were a number of wedding parties and people getting their photos taken by professionals, taking advantage of the free, amazing backdrop. Word of the day yesterday: "wet"
I took a personal day yesterday becaue I wanted to take a short trip up to see Snoqualmie Falls at or near flood stage. I checked www.floodzilla.com and it said as of 7:15 AM, it was a mere 6 inches below flood stage, so plenty enough water for me.